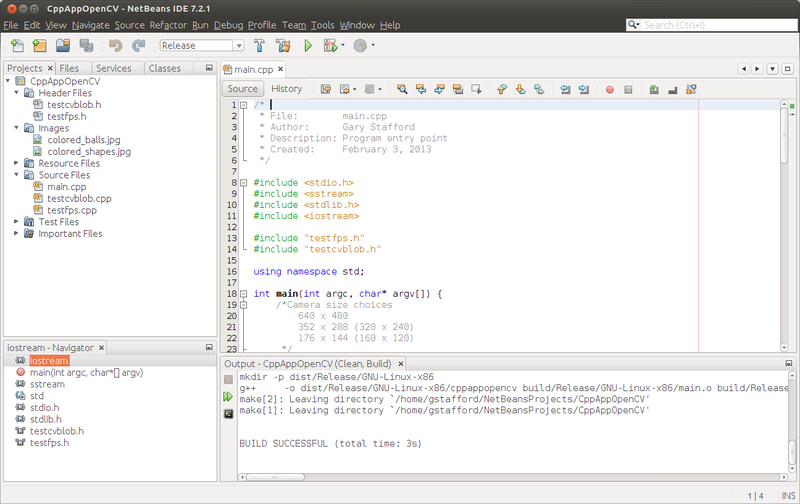 This entry was posted on February 9, 2013, 10:00 am and is filed under Bash Scripting, C++ Development, Raspberry Pi. You can follow any responses to this entry through RSS 2.0. You can leave a response, or trackback from your own site. how to change camera parameters on Raspi ..? ‘(-1)’ With ‘(0)’, ‘(1)’, ‘(2)’, ‘(CV_CAP_ANY)’ and the other but no effect. I assume you are using Linux? I suggest trying to GUVCviewer to ensure webcam is compatible with Linux. 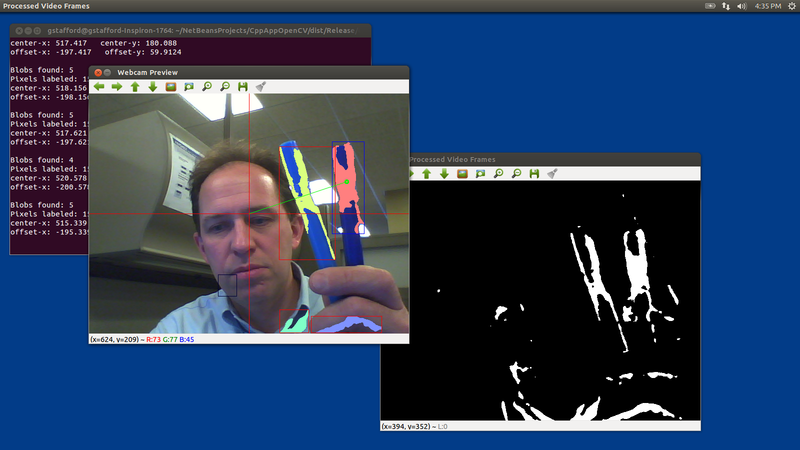 If it works here, it will work with OpenCV. Until I read your post I was under the impression that Pi can be used for real time motion detection but what you have written i can not do it. What about black&white video stream processing? And what about detecting coordinates of only moving particles? You should check out “motion” for raspberry pi. It is a project that alows webcam-streaming and highlighting of the moving parts of the stream. It makes a “ghost shadow” over the moving parts before displaying them. You can probably use that s a detector for the coordinates of the moving particles. Thanks, I actually have a post on here detailing how to implement motion for the Raspberry Pi. Hello thanks for sharing such a great tutorial.I am doing my project on friendly arm 6410.I need to cross compile cvBlob library for it.Can you please help me regarding cross compilation of it? Hello very nice your proyect, I think it would be better if you convert to HSV Color space. Agreed about HSV. If the color of the object is uniform, then it will be very tolerant on changes of shading. Thanks so much for posting your findings and code… it will help me past some major hurdles. 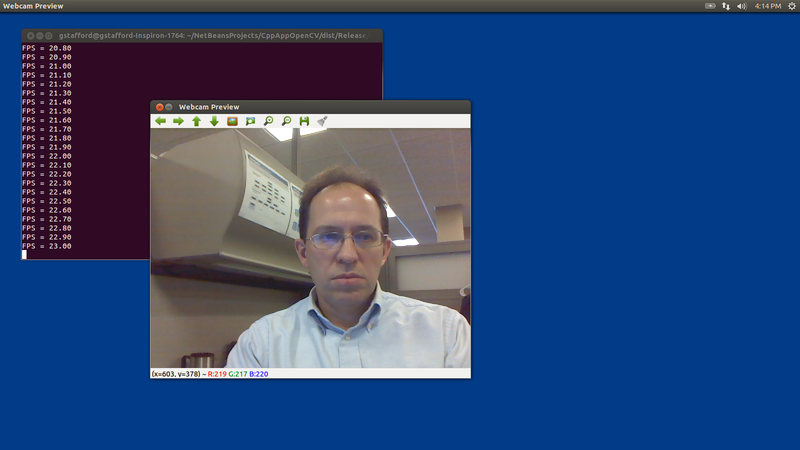 However, when I run FpsTest 1 640 480 I get “(Webcam Preview:2477): Gtk-WARNING **: cannot open display: 192.168.1.133:0.0”. But I’m still getting the error. I’m a Linux novice, any guidances is greatly appreciated! Looking deeper, I see cvQueryFrame is returning NULL. Searching the web shows other folks with this issue were able to fix it by compiling OpenCV with ffmpeg library… did you need to do that by chance? Did you try ‘ssh -X’? my code compiles without any errors but then it shows(after ./a.out), Xlib: extension “RANDR” missing on display “:10”. ya aku juga mengalami hal yang sama, bagaimana solusinya? yes, I also experienced the same thing, what’s the solution? compilation terminated.” How? Thanks for your help!! I saw you got an answer at http://answers.opencv.org/question/25699/c-language-can-use-cvblob/. where do i get testfps.h ans testcvblob.h? My first reaction is: would it not be better to put the code on github for example rather than dropbox? Thanks for the suggestion regarding GitHub. I switched from DropBox to GitHub and GitHub Gists for my most recent post. May I get to know more detailed info/procedures about how to install cvblob in raspberry pi? Thanks. 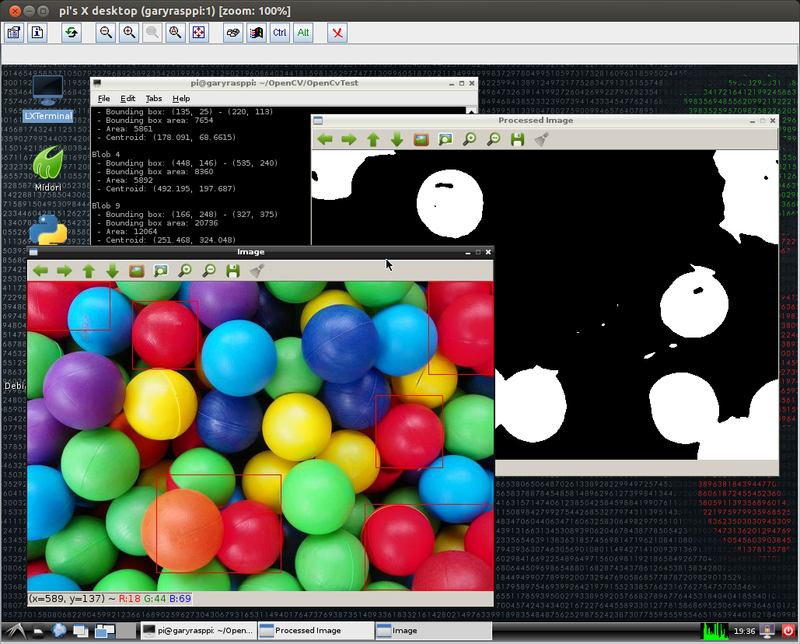 How to install cvBlob in Linux with OpenCV? like Windows? I am doing humanoid robot vision, I want to use cvBlob. Thank you VERY much for your “Note About cvBlob on ARM”, it saved me! I was experimenting with the cvBlobs library some time ago and wrote an own algorithm to speed up the detection in gray scale images. This algo runs in O(width*height). Probably it could speed up the detection on RPi. Unfortunately the Kinect never worked on my Pi due to usb transfer issues. 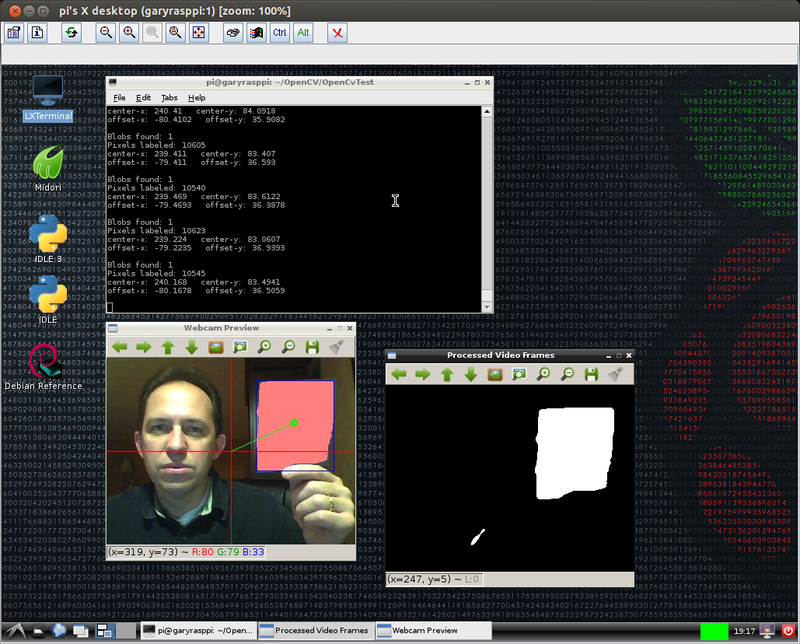 Now, with the raspi cam I could try to continue my little experiments. I would use sockets for peer-to-peer communication. Very common and easy to implement in many languages. Lots of good, simple examples on internet. Have you got this to work with a RPi camera? Have you tried using a playstation 3 eye? I used one of those on a project that was powered by an old atom netbook. Using the netbook’s built in cam the performance was terrible. Using the ps3 eye the fps was greatly improved. I guess it does a lot of on board processing and can get 120 fps. why your FPS are so fast? 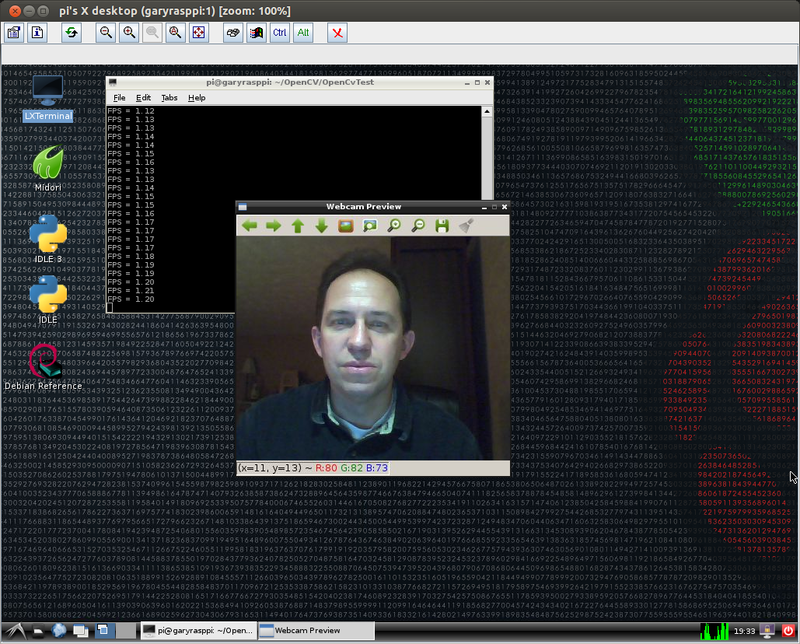 I use the OpenCV with python on Raspberry PI, but I feel my FPS is too slow! what’s the problem of my code? 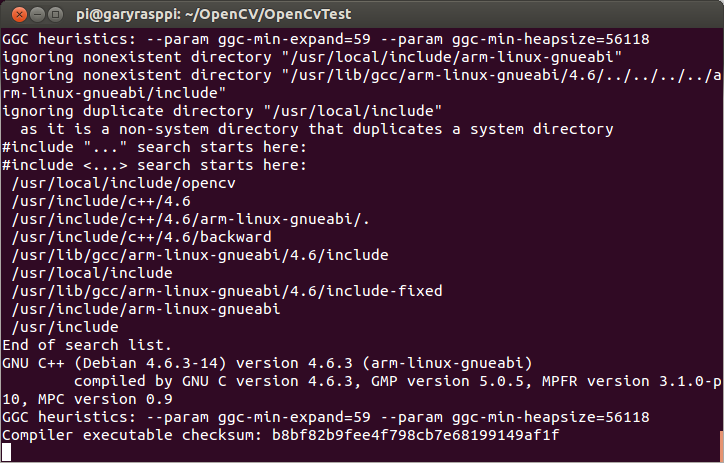 “./cppappopencv: error while loading shared libraries: cv2.so: cannot open shared object file: No such file or directory. i’m student and my final project using image processing with raspberry pi. i hope i can chat personally with you sir. 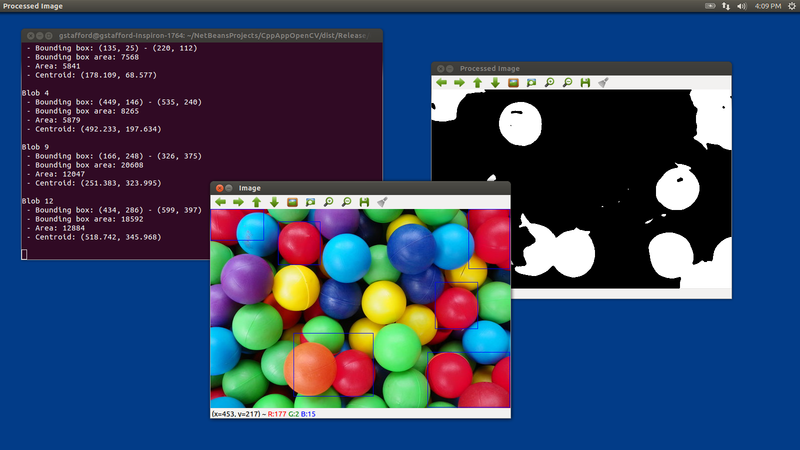 I was trying to build an application based on cvblob on Raspberry Pi. However, when the cvLabel (:..) function is executed, the CPU usage goes to 100% and nothing else happens. Do you have any suggestion bout this issue? I am working on a project based on pick and place concept. Great that cvBlob gives the coordinates of the centroid. I would like to know the coordinates of the edge or the orientation of the object axis with respect to camera. Sothat, robot can grip it properly. I would be really glad, if you can help. Is there a way to have it move motors tell the camera is centered. Hey Guys i have a problem when a try this project, problem is HIGHGUI ERROR: V4L : index 1 is not correct! Hey Gary! Thanks for the great insight. I’m actually doing a project very similar to yours: I’m using the raspberry pi for image processing and I want it to communicate co-ordinates to a vex cortex processor to move a bot to face, say a person. I’m having trouble with working the vex uart to communicate with the pi…do you have anything that could help? make: *** No rule to make target `/usr/local/lib/libopencv_contrib.so’, needed by `dist/Release/GNU-Linux-x86/cppappopencv’. Stop. Thank you Gary. It was an awesome post and was just what I was looking for. I wanted to determine the extent to which my Raspi 2B would fit my (hopeful) project, which involves on board Visual Slam and Obstacle Avoidance on a quadcopter. It seems clear from your post that even though we might get a bump in frame rates with some optimization technique or sorts, but it will never be high enough for actual real-time data to the intended system. Let alone EKF and such stuff. But can you recommend me some platform that is capable of doing it. I’ve seen plenty videos with Intel Atom processors being able to do all the real time processing on board. What is your say on this? In Github repository and here , there is no an explicit license information about your code . If you supply a license name , it may be useful for the possible usage decisions . This is a very nice tutorial . Hi, do you know how I can go about connecting my raspberry pi camera to the raspberry pi model 3b take an image of a dice and display what value it is? I am also working on the “tracking “project so while searching on net I have came across your Blog. ( I am basically new for object tracking).It’s very good tutorial for object tracking using open CV. make: *** No rule to make target ‘/usr/local/lib/libopencv_contrib.so’, needed by ‘dist/Release/GNU-Linux-x86/cppappopencv’. Stop. 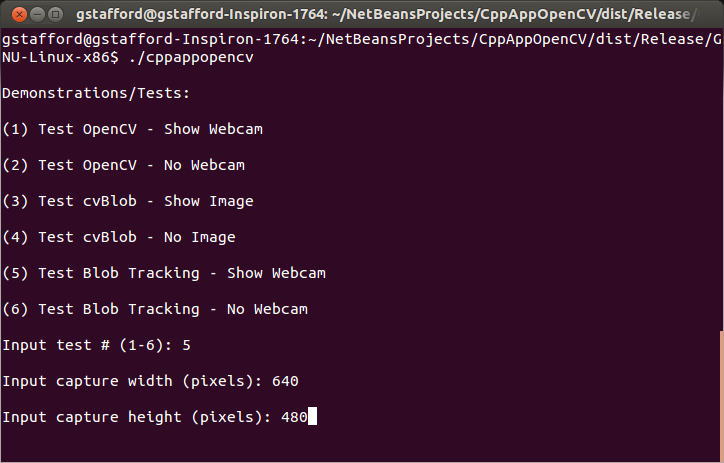 I have looked up online and found that I have to install opencv-contrib library also. But after doing that and path give still I am getting the same error. Could you please help me to resolve the issue. It will be a great help.